Six years ago today, Apple cofounder Steve Jobs passed away. The company's current CEO, Tim Cook, reflected the occasion on Thursday with a quote from the iconic visionary. "Make something wonderful, and put it out there," were the words of Jobs heard last month before the unveiling of the iPhone X.
Cook quoted them again on Thursday on his Twitter account, adding: "Remembering Steve today. Still with us, still inspiring us." Jobs passed away on Oct. 5, 2011 at age 56, after a long bout with cancer. The words of Jobs echoed through his namesake theater last month, when Cook and the rest of Apple unveiled the iPhone 8 and iPhone X. At the time, Cook said it was only fitting that Jobs should help to open his own theater. "Steve meant so much to me, and so much to all of us," Cook said at the iPhone X event. "There's not a day that goes by that we don't think about him. Memories have especially come rushing back as we prepared for today and this event. It's taken some time, but we can now reflect on him with joy, instead of sadness. 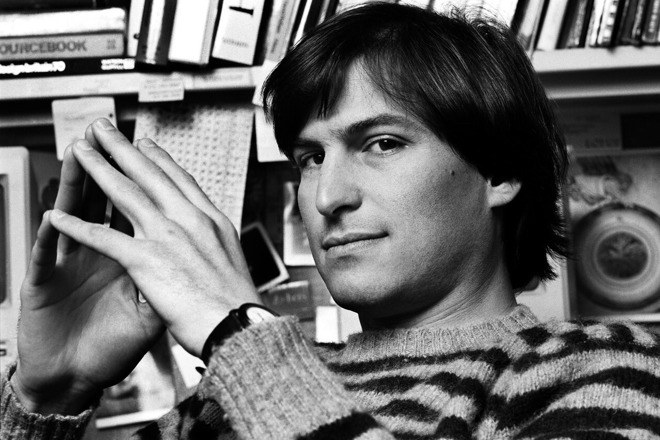 Steve's spirit and timeless philosophy on life will always be the DNA of Apple. There are lots of ways to be as a person. And some people express their deep appreciation in different ways. But one of the ways that I believe people express their appreciation to the rest of humanity is to make something wonderful, and put it out there. And you never meet the people, you never shake their hands, you never hear their story or tell yours. But somehow in the act of making something with a great deal of care and love, something's transmitted there. And it's a way of expressing to the rest of our species, our deep appreciation. So we need to be true to who we are. And remember what's really important to us. That's what's going to keep Apple, Apple — is if we keep us, us.